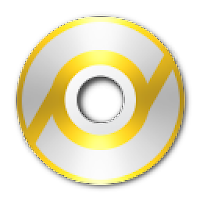 PowerISO is a powerful, all-in-one CD/DVD/Bluray image file processing tool, which allows you to open, extract, burn, create, edit, compress, encrypt, split and convert ISO files, and mount ISO files with internal virtual drive. PowerISO can process almost all CD/DVD/BD image files including ISO, BIN, NRG, IMG and DAA files. Furthermore, PowerISO is also a professional burning software. With this tool, you can create Audio CD, Data CD, Data DVD, Video DVD or VCD and bootable USB flash drives, along with bootable CDs and DVDs. If you have PowerISO, you will own ISO creator, ISO editor, ISO extractor, ISO converter, ISO burner, virtual drive, CD burner, DVD burner, BD burner, audio burner, audio ripper and video burner. The unregistered version will display a dialog prompts you to register, and you can not create or edit image files greater than 300MB with the unregistered version. Disclaimer: Direct downloads for the lastest version of PowerISO 6.9 are provided by the official software's author, we can't guarantee safety, availability or download speed. Moreover, we don't and we won't provide any pirated/illegal versions or tools. We recommend you to avoid it as these methods can harm your device. If you like the software, buy it to support the developers. (We provide software discounts for many worldwide brands).